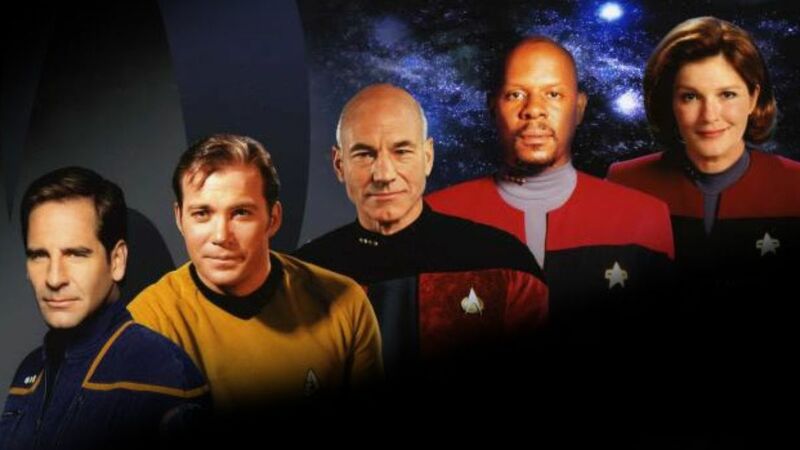 What made Star Trek and its spinoffs so outstanding and memorable had to do with the shows’ captains. It makes sense being that the starship captains were the core of their shows and had many plum moments. Those instances revealed many thought-provoking insights into the captains and their lonely dilemmas, which revealed them as complex characters. In many ways, these moments are the reason why we celebrate Star Trek’s 50th anniversary. 10. 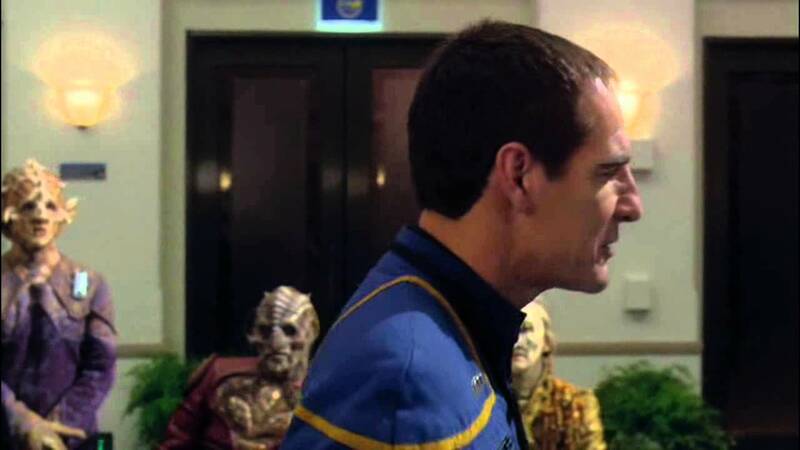 Jonathan Archer’s Speech in “Terra Prime”: The penultimate episode of Star Trek: Enterprise featured the fragile beginnings of the United Federation of Planets and how it nearly wasn’t due to a xenophobic human terrorist group. After the group was defeated, a conference on Earth made up of humans and aliens was salvaged thanks to Captain Jonathan Archer’s speech. He implored the attendees to look past humanity’s faults and to see that everyone shared the peaceful desire to gain knowledge. Or as he summed up “the most profound discoveries are not necessarily beyond the next star, they’re within us.” And so, Archer helped give birth to the Federation and secured his place in history. 9. Kathryn Janeway Turns the Tables in “Counterpoint”: In this episode of Star Trek: Voyager, the Starfleet vessel is forced to go through a region of space ruled by the Devore, a despotic anti-telepathic race, while harboring fugitive telepaths. 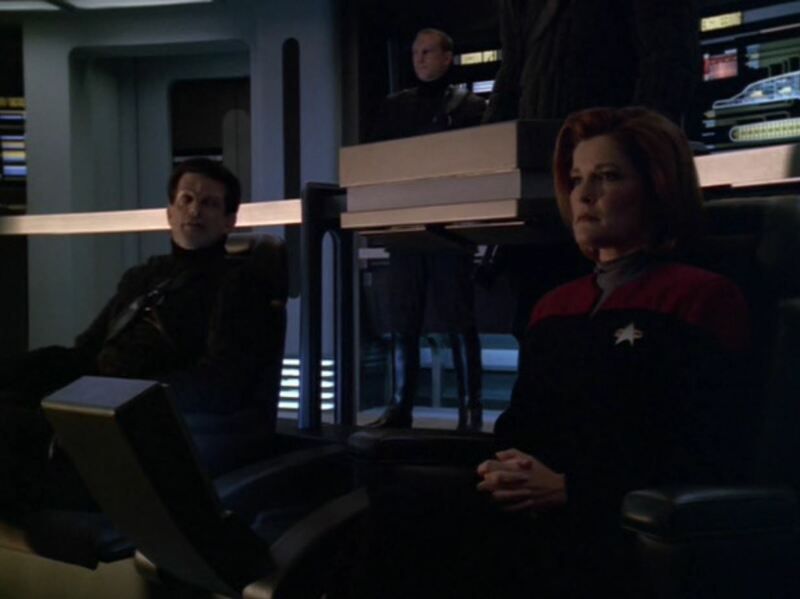 Captain Kathryn Janeway gets involved with Kashyk, a Devore officer seeking asylum. The two are a near perfect couple but in the end the romance was a ruse by Kashyk who wanted to flush out Janeway by pretending to be sympathetic. But it turned out Janeway was just as devious and cunning as the Devore. She tricked Kashyk and gave the refugee telepaths time to escape Devore space. This episode demonstrates how her guile and determination have kept her crew alive as they journeyed home through hostile space. 8. Jean-Luc Picard Sees Four Lights in “Chain of Command, Part II”: In this two-part story of Star Trek: The Next Generation, Captain Jean-Luc Picard is captured by Cardassians and tortured by one particularly sadistic Cardassian named Madred. The Cardassian delighted in humiliating his human prisoner and tried to break the noble Picard. Throughout the episode he attempted to get Picard to admit that there were five lights in Madred’s office, when in reality there were only four. Madred did this to break Picard’s free will. But Captain Picard would not give up his inner dignity and demonstrated the measure of his steely resolve. He steadfastly refused to admit there were five lights despite the torture and never broke even though he came close. Picard’s action set an example of relying on one’s inner strength and core beliefs to get through difficult ordeals. 7. 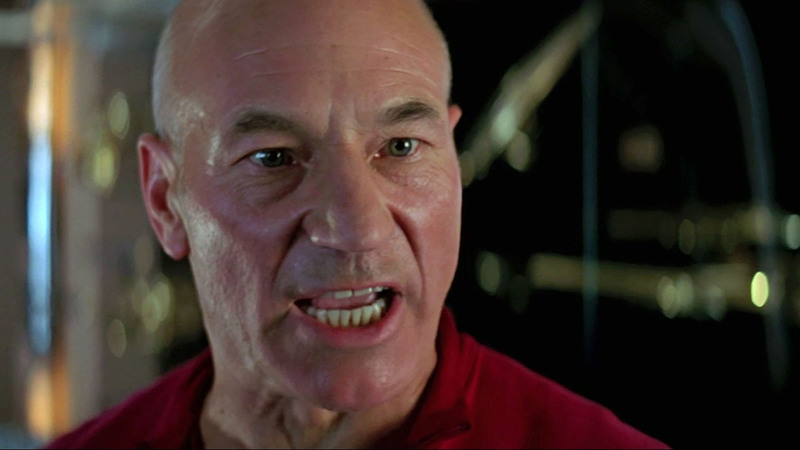 Jean-Luc PIcard’s Rant and Recovery in Star Trek: First Contact: Captain Jean-Luc Picard had been forcibly assimilated by the cybernetic Borg. In this Star Trek film, when the Borg returned to threaten Earth, Picard’s emotions and painful memories resurfaced. Picard became obsessed, too obsessed in defeating the Borg as they tried to take over his ship, the Enterprise. He became callous about the deaths and assimilations of his crew and insisted on fighting a losing battle against the Borg. When finally confronted by Lily Sloane over his fanatical behavior, Picard finally lets his emotions get the better of him. He erupted into an epic, savage rant about how he will make the Borg pay for what they did to him. After this catharsis, Picard was able to regain his senses and realized his duty to protecting his crew. 6. James T. Kirk Shows Mercy in “Arena”: Captain James T. Kirk and a Gorn captain are transported to a barren planet by advanced aliens and forced to fight each other to the death for the lives of their crew. This classic episode of Star Trek, while exciting to watch, ended on a morale message, which is what made the original show so revered. 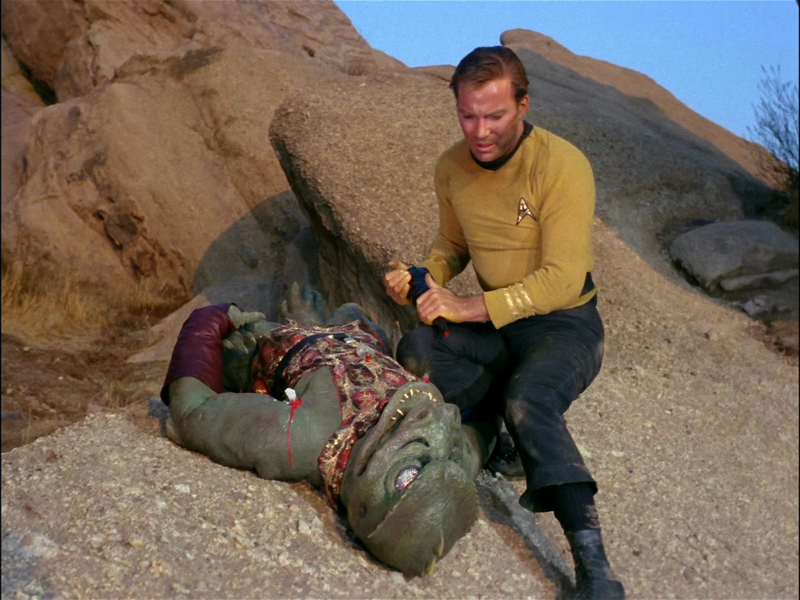 After defeating the Gorn, Kirk refuses to kill it. Then one of the advanced aliens appears and proposes to kill the Gorn for Kirk. The captain of the Enterprise turns down the offer and suggests that his defeated enemy be spared. This act of mercy surprised the alien who opined that there is something special about humanity since mercy is an advanced trait. 5. Ben Sisko’s Self-Confession During “In The Pale Moonlight”: During this episode of Star Trek: Deep Space Nine the Federation is losing a war against the evil Dominion. Captain Benjamin Sisko is at the forefront of the war in the space station Deep Space Nine and sees firsthand the effect of the grueling war. He knows he has to do something to save the Federation and what he concocted disturbs not just viewers but himself. Sisko conspired to fabricate evidence that the Dominion will attack the Romulan Star Empire. He hoped that this falsehood will bring the Romulan into the war on the Federation’s side and it works. The only cost for this duplicity is Sisko’s conscience. But Sisko has to admit to himself that saving countless lives in the Alpha Quadrant justified his actions. A sobering thought, which put Sisko in a different, grey light. 4. Jean-Luc Picard Defends Data in “The Measure of a Man”: In this intellectually charged episode of Star Trek: The Next Generation, a court hearing is convened to determine if the android officer, Data, can be considered sentient. At stake is his artificial life and whether or not he is entitled to equal rights. 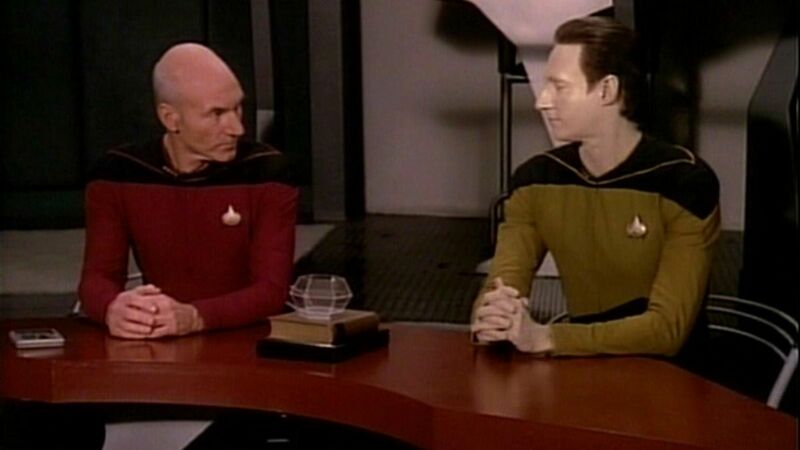 Despite a blistering argument against Data, his commanding officer, Captain Jean-Luc Picard defended Data. At first, Picard is typically level headed and uses logic and reason to argue that Data is sentient. Then as his argument continued Picard grew more impassioned and was able to convince everyone not only of Data’s self-awareness but of his inalienable rights, which echo one of Star Trek’s core messages about equality, tolerance and mutual respect. 3. Ben Sisko Explains Time Through Baseball in “Emissary”: The pilot episode of Star Trek: Deep Space Nine set this Star Trek spinoff radically apart from other Star Trek shows. But one of the few things that stayed constant was the need for exploring the unknown. In this case a wormhole that Commander Benjamin Sisko discovered near the planet Bajor. Upon entering the wormhole, he meets noncorporeal aliens who have difficulty understanding linear time. 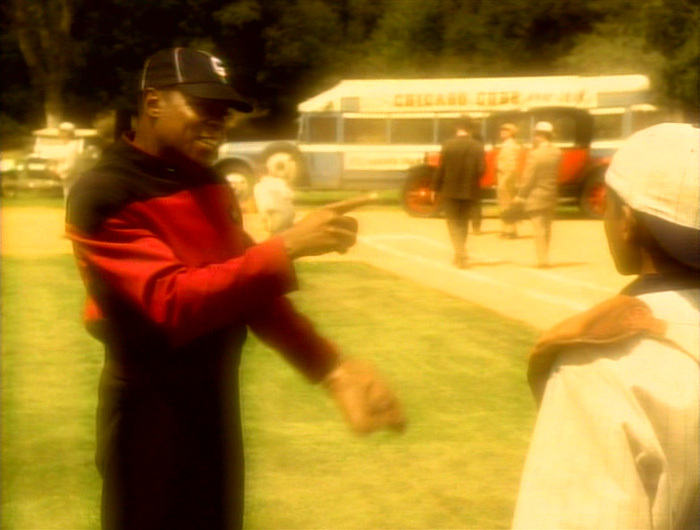 Sisko cleverly used baseball to explain the cause and effect nature of time. 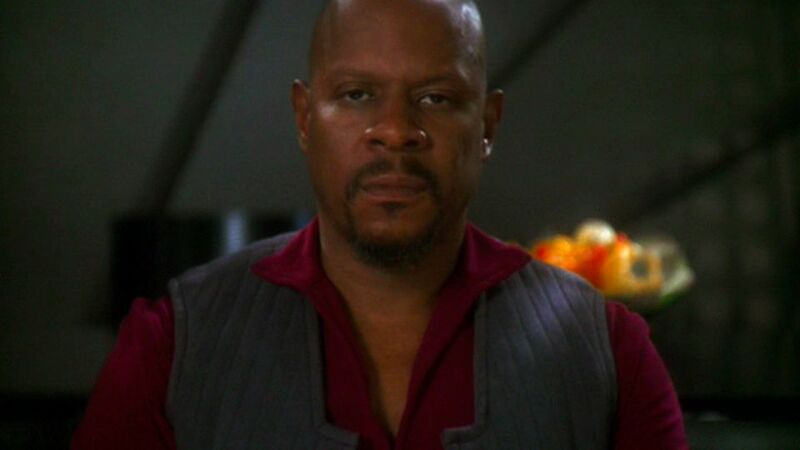 Thanks to queries from the aliens (who took the shape of people he knew), Sisko realized that he is emotionally trapped in the past because of his wife’s death. This epiphany allowed him to come to grips with her death and move on with his life as a Starfleet officer. 2. James T. Kirk admits he feels young in Star Trek II: The Wrath of Khan: At the start of this classic film, Kirk is downtrodden over his growing old. Compounding his mood are his deskbound duties and his birthday. As Star Trek II progresses, James Kirk takes command of his beloved Enterprise and is reborn as he confronts his greatest enemy–Khan Noonien Singh. 1. 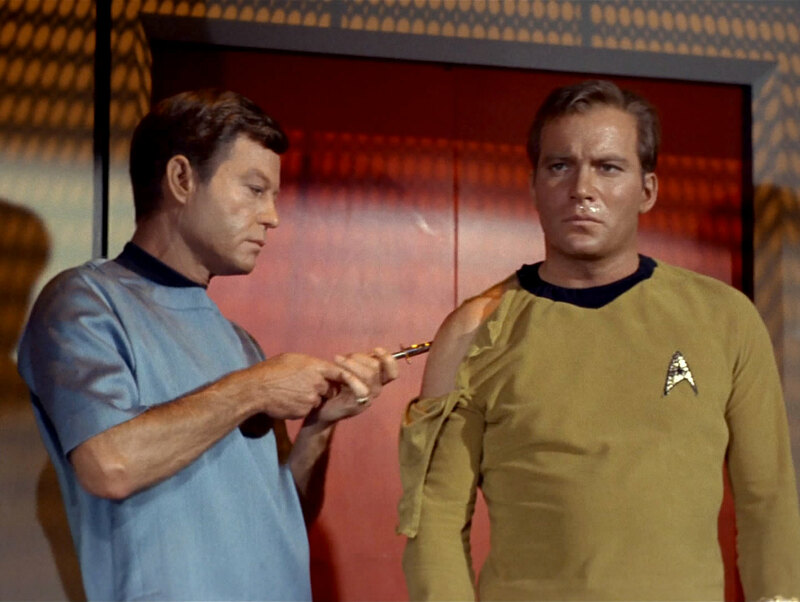 James T. Kirk’s Soliloquy in “The Naked Time”: Captain James T. Kirk, or rather his original performer, William Shatner, was prone to speechifying in Star Trek. Often these addresses were bombastic and self important and were deservedly parodied. But early in the show’s run with the classic episode “The Naked Time” Kirk gave one of the first of these speeches and for one of the few times, his words were exceptionally heartfelt. He was infected with a virus that loosened his inhibitions. When this happened his innermost thoughts and frustrations came to the surface. We saw Kirk as vulnerable, lonely and deeply committed to his duty as a starship captain. He lamented over the fact that his duty prevented him from enjoying a normal life or even having someone to love. The speech summed up the extent of the personal sacrifice James T. Kirk, and any other worthy starship captain, make in order to serve a higher cause. Brilliant collection of Star Trek captains classic moments. In the Pale Moonlight, The Measure of a Man, and Arena are some of my favourite episodes. Thank you! There were so many to choose from that it was hard to whittle it down to just ten. Great list, there are so many great moments there but I think the very best for me are Archer’s speech in “Terror Prime”, Kirk showing mercy in “Arena”, Picard’s defence of Data in “Measure of a Man” and the closing moments of Wrath of Khan. All those moments always send shivers down my spine and encapsulate what Star Trek is all about.